TIP TAP TOE. Which color do you want? Today where the world demands you to be different from the rest. Why compromise your life with those clichéd white sand beaches and palm trees; when beaches come in a rainbow of colors with sands ranging from midnight black to pastel pink. Yes, not all sandy beaches are white. While you are wondering where these sands get their unique color from; the rocks and cliffs surrounding the beach, gradually weather due to natural forces and get deposited in the sand. Vik Beach, Iceland – located in the wettest place in Iceland, Vik, this beach is one of the top non-tropical beaches on Earth. The dark color of the sand has risen from ashes of the 18 erupted volcanoes (from the 130 eruptions in Iceland). The beach gives a highly dramatic environment with hidden caves, rivers flowing through lava rock and its chromatic black sand. Wonder how can black always be that good? Pfeiffer Beach, Big Sur, California – This beach located in the USA, features shades of magenta, lilac, and purple. 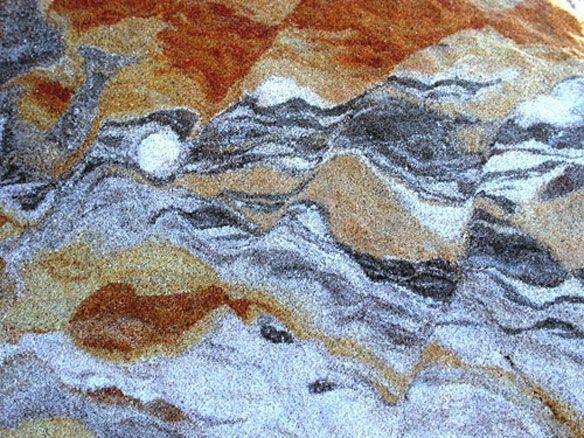 The beach has beautiful patches of Amethyst tinted sand which get it hue from quartz and manganese garnet that washes down from nearby hills. The violet color is visible usually after a storm or rain. The incredible scenery which includes pine forests, picturesque stone arch and sunset is a favorite amongst locals and photographers. 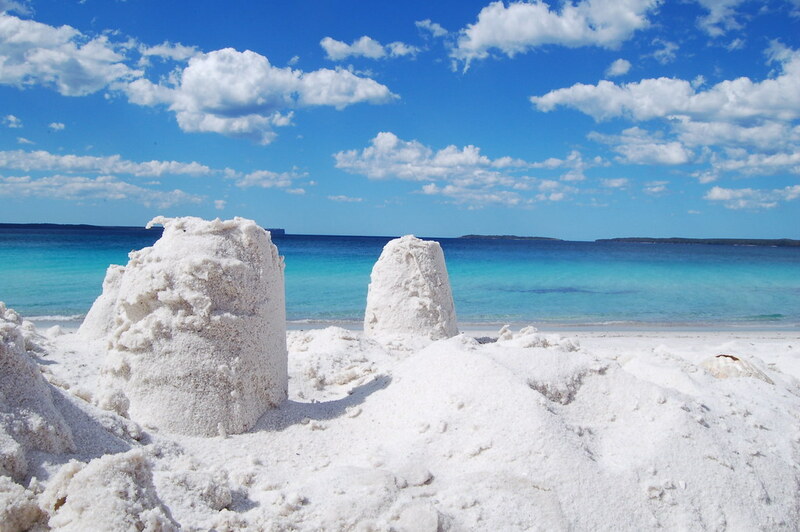 Hyam Beach, Austrailia -The beach holding its name in the Guinness Book of World Book of Records for the whitest sand in the world lies 120 miles south of Sydney. 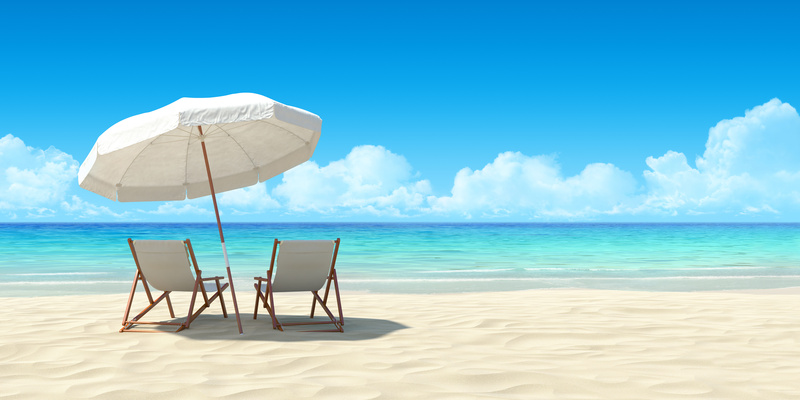 The soft and beautiful white sand is a derivative of the tiny quartz particles. Crystal clear turquoise waters offer legendary opportunities for diving, sailing, surfing, and snorkeling. Harbor Island, Bahamas – A three miles stretch of rosy pink sand and gentle waters is a treat to swimmers and pink lovers. A mixture of calcium carbonate, bits of broken shells, corals, and tiny pink shelled marine organisms known as Foraminifera from the blushy pink sand of these beaches. The glorious sunrise and sunset, placid waters, elegant resorts and an array of marine wildlife will not let you leave this place without a smile. Papakolea, Hawaii -A secluded beautiful green sand beach, it is located on the southern tip of Hawaii’s big island. From afar it may seem like a beach covered with moss rather the Olive green crystals from surrounding 49,000-year-old Pu’u Mahana cinder cone of Mahana Bay give the sand its unique color. The jaw-dropping backdrop of cliffs and boulders makes the beach look almost unreal and an alluring sight to experience. Tamla Bay, Gozo –With bright orange colored sand and wild nature this pristine beach is located on the fertile island of Gozo. Malta is famous for its soft golden-reddish sand thanks to the high iron content. Surrounded by the stunning dunes the beach is famous amongst travelers visiting the Roman ruins in nearby Calypso Cave. Queensland, Austrailia – is a treat to the eyes with 72 different hues in the sand all at once. 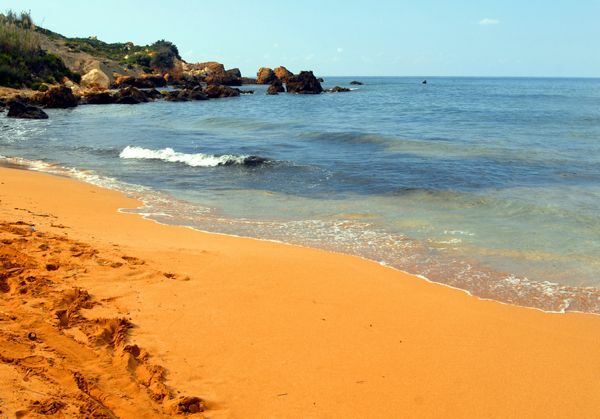 The legend says that the sands are the result of the rainbow spirit falling onto the large cliffs near the beach after losing a battle, but the color of the splendid beach is due to a combination of erosion and iron oxide that has been occurring since ages. The Beach offers an idyllic getaway for beach goers, campers, and nature lovers. Reaching these wonderful beaches is not easy but, wouldn’t it be worth it to leave your footprints in one of the most colorful beaches of the world? The Man Who Inspired Arthur Conan Doyle To Create Sherlock Holmes!